Reading, PA – The Pennsylvania Department of Transportation (PennDOT) has announced that in response to high customer demand, the PennDOT Driver License Center located at the Shillington Shopping Center, 530 East Lancaster Avenue, Suite 5 in Shillington, will add an additional day for photo services on Mondays from 8:30 a.m. – 4:15 p.m. beginning this Monday, February 5. Reading Driver License Center has seen an increase in customers. Expanding photo center operating hours to include Mondays will improve the customer experience and increase the number of customers that can be served on the additional day. Additionally, PennDOT has redirected additional staff to the Reading location and has created an additional driver licensing processing station, which will reduce customer wait times. “PennDOT is continually evaluating its locations to ensure that we are serving our customers in the most efficient way possible, and making adjustments when necessary to enhance the customer experience in a positive way,” said Secretary of Transportation Leslie S. Richards. Holiday closings may affect PennDOT Driver License and Photo License Center operating hours. Holiday closing information is available on PennDOT’s website. 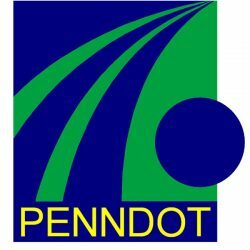 Follow PennDOT on Twitter and Facebook.